Close to beach, restaurant next door served the best chicken (kebab) I have ever tasted, an inexpensive, spacious apartment, excellent comms with owner, quick to deal with any issues. The higher your apartment, the better the view (no lift but we didn’t mind a bit climbing to 4th floor :D ). Half an hour bus (No 9) into Varna which we did - well worth a visit! Very spacious apartments with huge balconies ... I mean really HUGE - the size of some are more like a backyard! The view is a stunning, amazing combination of century-old trees and sandy beaches! The rooms are equipped with everything you may need, well maintained, with new furniture. The bathroom is also very large. Rooms are cleaned every day. Staff are extremely kind and responsive to everything you need. 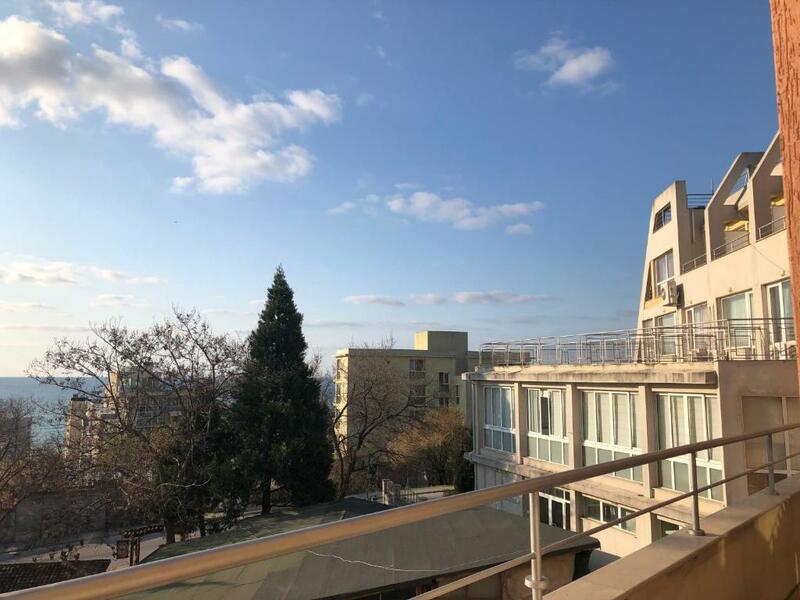 This place is just a diamond if you are looking for a relaxed family holiday, but also if you want to break out - it is only 15-20 minutes walk from the biggest summer resort of Bulgaria - Golden Sands! Just a great place - don't miss it! Great location, big rooms, clima, excellent view. Very nice place for rest, about 15-20 minutes to Golden Sands. About 5 mins to the closest beach which is free. Two shops near to hotel and good restaurant with great prices near to hotel. 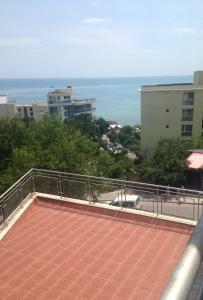 Very close to the beach( a 5 minutes walk) and to restaurans and shops. The view is very nice, so is the host. The apartment is spacious and the price is very good.There are free parking lots in front of the apartment. 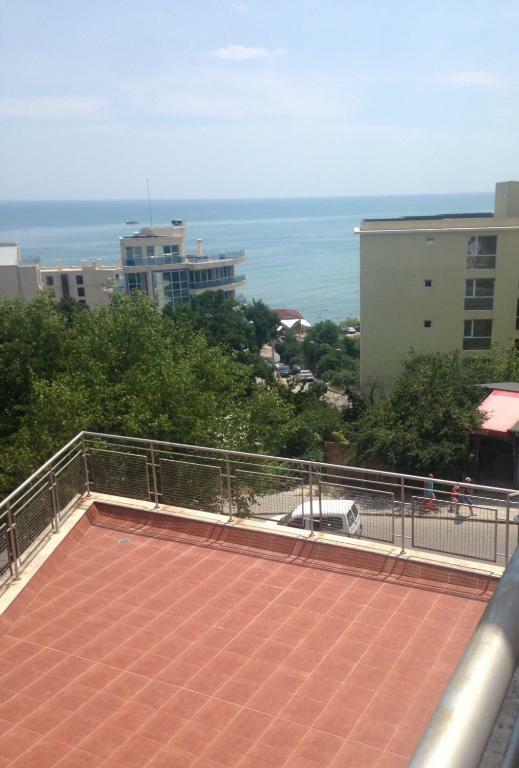 A large spacious apartment with a nice balcony and close to a nearby beach. It is a good 30 minute walk from Golden Sands but liked that. Good value, staff friendly. Free AC, free parking and good area. The most important advantage was the price. Close to the beach and shops. 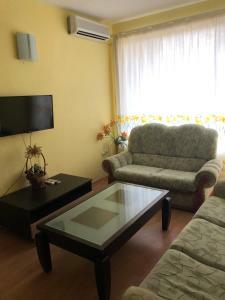 A big apartment with 2 separate rooms and bathrooms, well equipped kitchen. Simple hotel room, clean, with a big terrace-balcony. Добро местоположение и лесно за намиране. Има хубав изглед към морето. Мы жили в лофте на последнем этаже с огромным балконом (по сути, это крыша здания) и отличным видом на море. А также мини-кухней с холодильником и посудой. До большого пляжа 5 минут пешком, до Варны - 20 минут на машине. Рядом с отелем есть небольшой магазин со всем необходимым и масса недорогих ресторанов на любой вкус - пиццерия, морепродукты и т.д. Assicurati un ottimo prezzo per Apartments Einstein, valutato di recente dagli ospiti con un punteggio di 8,2. Situato a 3,8 km dall'Aquapolis Golden Sands e a 4,2 km dal Golden Sands Centre di Golden Sands, l'Apartments Einstein offre sistemazioni con area salotto. Il WiFi è gratuito. Le sistemazioni sono dotate di balcone, TV e bagno privato con doccia. Alcune sistemazioni includono una cucina con forno e microonde. La struttura dista 5 km dal Monastero di Aladzha e 1,3 km dall'impianto di risalita di Argisht. L'Aeroporto più vicino è quello di Varna, a 22 km. 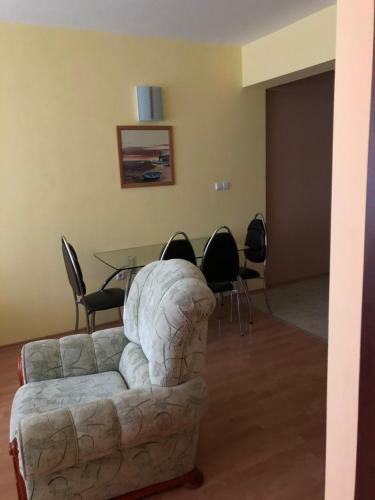 Quando vuoi soggiornare presso Apartments Einstein? 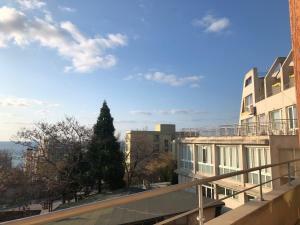 Appartamento climatizzato con piano cottura e vista sul mare. Appartamento con forno, utensili da cucina e pavimento piastrellato/in marmo. Appartamento climatizzato con divano e forno. Monolocale climatizzato con divano e piano cottura. Appartamento con divano, bollitore elettrico e utensili da cucina. Appartamento con utensili da cucina, bollitore elettrico e TV satellitare. Апартаментите се намират в сградата на Хотел "Айнщайн, находящ се в местността "Ален мак", разположен на 200 м от морския бряг и плаж "Кабакум". Сградата е на отстояние 50 м от автобусната спирка в посока Център-Варна. *Апартаментите се отдават целогодишно под наем, включително и дългосрочно. Местността, в която се намира Хотел "Айнщайн", с предлаганите под наем апартаменти, е разположена между курортни комплекси "Св. Константин и Елена", "Слънчев ден" - на юг и "Златни пясъци" - на север. Leggi prima di prenotare Apartments Einstein accetta le richieste speciali. Aggiungile nel prossimo passaggio! Apartments Einstein accetta queste carte di credito e si riserva il diritto di trattenere temporaneamente un importo prima del tuo arrivo. Siete pregati di comunicare in anticipo a Apartments Einstein l'orario in cui prevedete di arrivare. Potrete inserire questa informazione nella sezione Richieste Speciali al momento della prenotazione, o contattare la struttura utilizzando i recapiti riportati nella conferma della prenotazione.